LONDON. England -- Ukraine has six months to meet European Union terms for an association agreement instead of a May deadline the 27-nation bloc set for improving its judiciary and electoral system, according to the foreign minister of Lithuania, which takes over the rotating EU presidency in July. While the former Soviet republic is “technically ready” to sign the pact that includes a free-trade agreement, the government “must make very tough choices,” Linas Linkevicius said in a May 10 interview in London. It’s still possible to sign the accord at a November summit in Lithuania’s capital, Vilnius, he said. 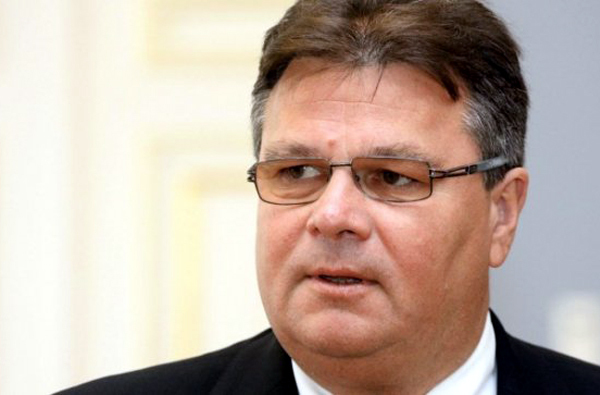 “We will keep this pressure until the last moment,” Linkevicius said. The pact has been delayed by the 2011 imprisonment of ex-Prime Minister Yulia Tymoshenko for abuse of office, a move the bloc deems selective justice. While President Viktor Yanukovych pardoned an ally of Tymoshenko, Yuriy Lutsenko in April, prosecutors are considering a murder charge against her as she awaits a European Court of Human Rights ruling on her existing conviction. The ruling doesn’t affect her seven-year prison term, Ukraine’s Justice Minister Oleksandr Lavrynovych said April 30. Linkevicius declined to comment on whether it was possible to sign Ukraine’s association agreement with Tymoshenko in jail. Aside from the judicial issues, Ukraine’s government must decide between the EU’s free-trade pact and a Russian-led customs union, according to the minister. While some improvements have been made to the electoral system, the “general picture is still yet to be accomplished,” he said. “We have plenty of time,” Linkevicius said.